LESSER BURDOCK seeds (arctium minus) from Wildflowers UK. 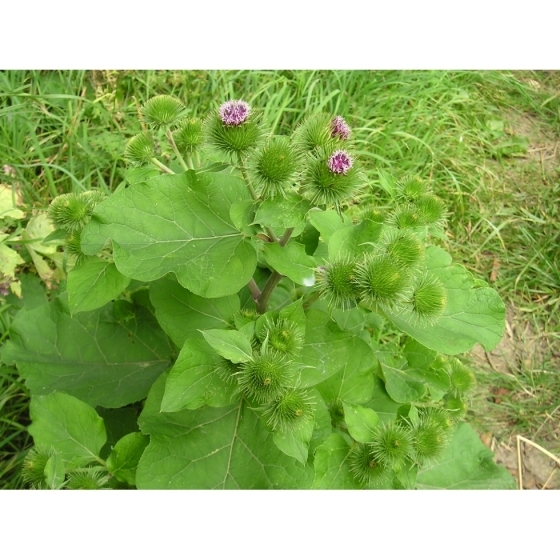 Lesser Burdock - arctium minus– Lesser Burdock is a robust competitive wildflower that is useful for growing on fertile sites such as river banks, woodland edges, hedgerows and roadsides. Plants should be introduced into areas where there is either full or partial sunlight. Lesser Burdock can grow to about 5 foot high and produce mauve flowers from July and September. These flowers are visited by bees, and followed by seed-heads that attract birds. Lesser Burdock looks best growing with other robust plants such as Teasel, Black Knapweed, Common Agrimony, Meadow Cranesbill and Field Scabious. 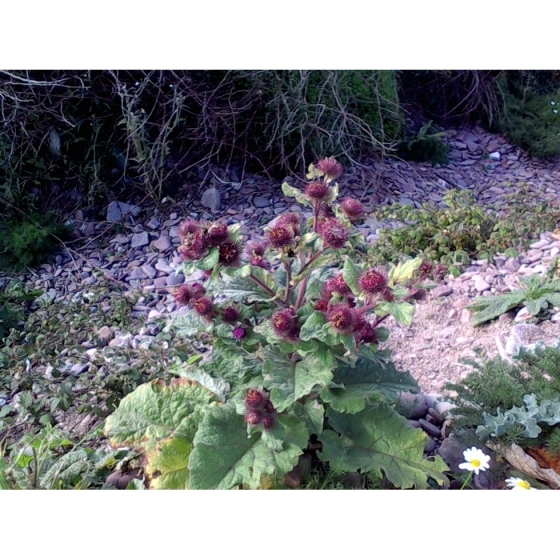 A few alternative names for Lesser Burdock include gypsy`s rhubarb, Robin Hood`s rhubarb, beggar`s buttons, cocklebur, and fox`s clote. Lesser Burdock seeds should be sown directly outside in the spring or autumn and covered with soil Germination can occasionally be erratic and take some time. 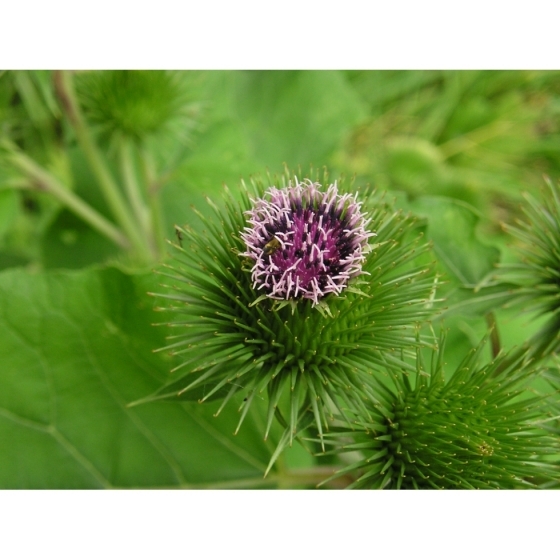 Bear in mind that Lesser Burdock plants are biennial, so flowers should not be expected until the second year. To establish Lesser Burdock permanently it is therefore necessary to sow in 2 consecutive years then allow the plants to self seed naturally by leaving the seed heads in place. To discover further wildflowers for Bees and other insects, simply enter the word "pollinators" into the search box above. 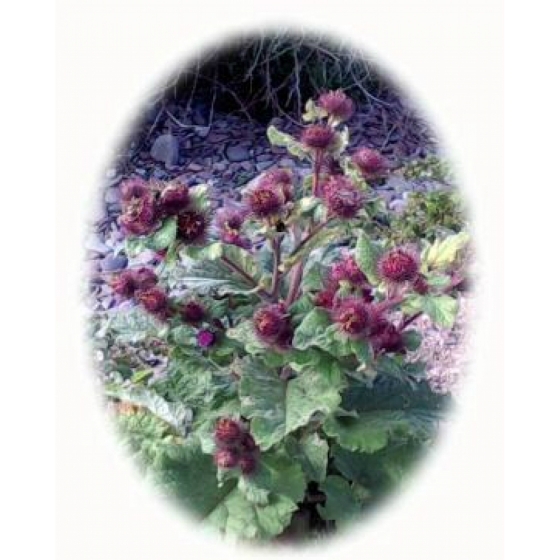 To purchase Lesser Burdock seeds please select a quantity above and click add to cart. To ensure the best chance of success, we sell all of our wildflower seeds by weight, which ensures each wildflower seed packet contains a good quantity of seeds. The recommended sowing rate is 1 gram per square metre, and the number of Lesser Burdock seeds per gram is approx. 60. All of our Wildflower seed packets contain seeds of Native British provenance.